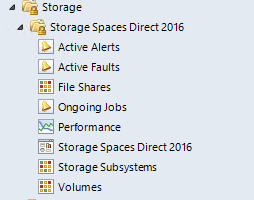 Operations Manager – S2D (Storage Spaces Direct) Management Pack (MP) now Available! The Microsoft/System Center Operations Manager (SCOM) team has just released the Windows Storage Spaces Direct (S2D) Management Pack (MP). Click HERE for the Management Pack.